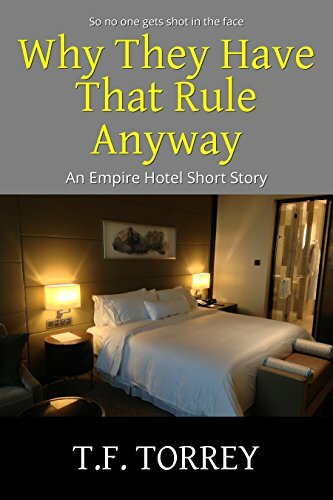 My short story “Why They Have That Rule Anyway” is free today through Saturday at Amazon. The story is a fast-paced introduction to the Empire Hotel, its quirky staff, and its ever-unpredictable guests. If you’ve ever been frustrated that a hotel would not give you a key to “your” room, here’s why, based on a true story. Get it while it’s free, and tell your friends.